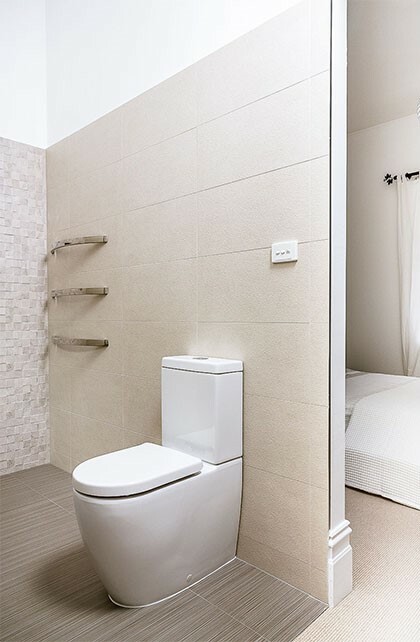 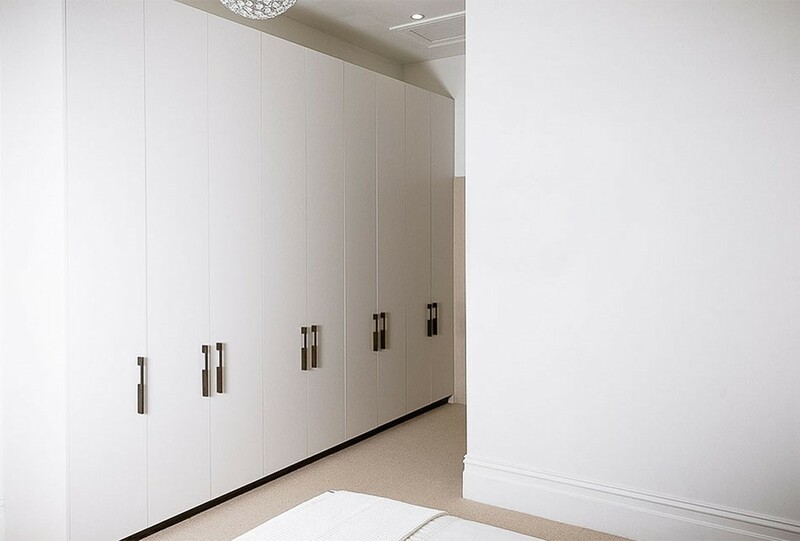 A separate walk in robe and small ensuite was opened up to integrate the new wardrobes and bathroom into the bedroom space. 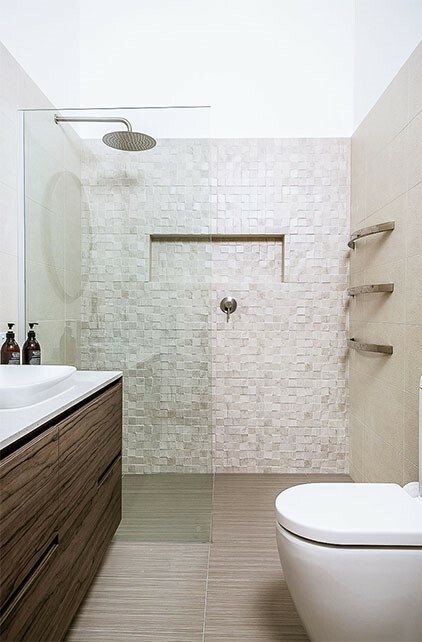 A floor tile with the look of fabric was chosen to adjoin the carpet to create a subtle change between floor finishes. 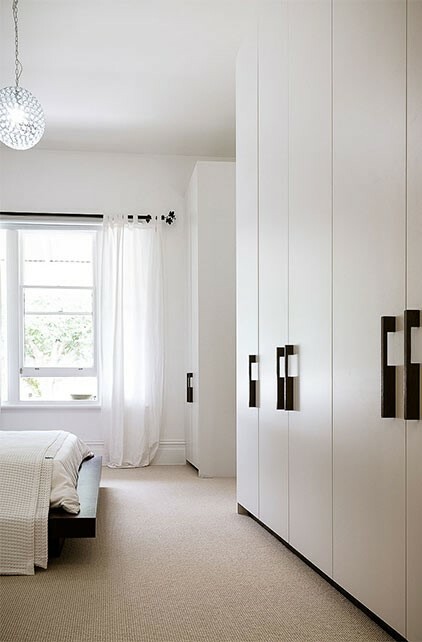 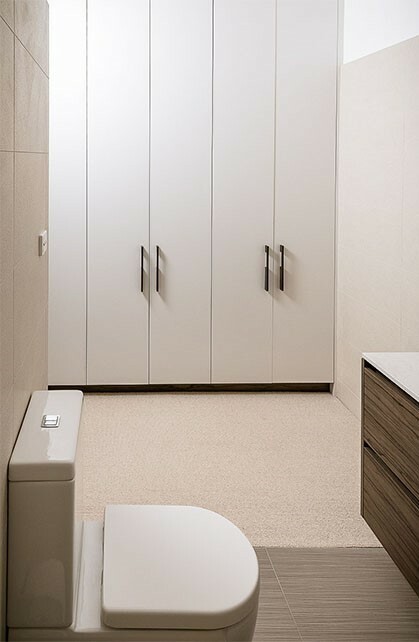 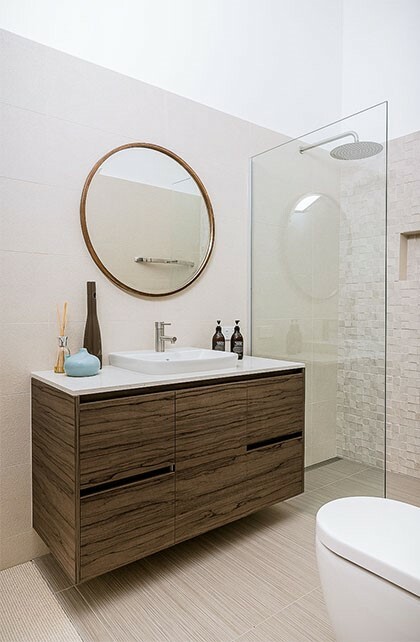 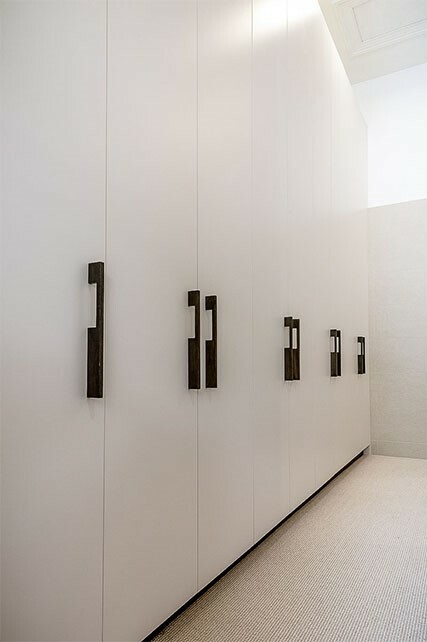 New custom wardrobe joinery spans the length of the room with timber handles to compliment the bedroom furniture while the walk in shower is spacious and practical.